Can’t you feel the start? I – the damned pr just the poor? Recorded and mixed at Werner Studio, spring and summer 1982. Ballet Mécanique wrote Danish music history with the release of their debut album The Icecold Waters of the Egocentric Calculation in 1981. The group synthesized rock, avant-garde and poetry in an absolutely unheard way, using dancers and films at their concerts to recreate their own surrealistic ecology on stage. They released their second and final album For in 1982 after which Martin Hall reconstituted the group as Under For. Already during the recording of For Ballet Mécanique was falling apart. Martin Hall’s psychological instability as well as the general state of affairs within the band made it very difficult for the members to work together, resulting in the termination of the band shortly after finishing the album in the summer of 1982. 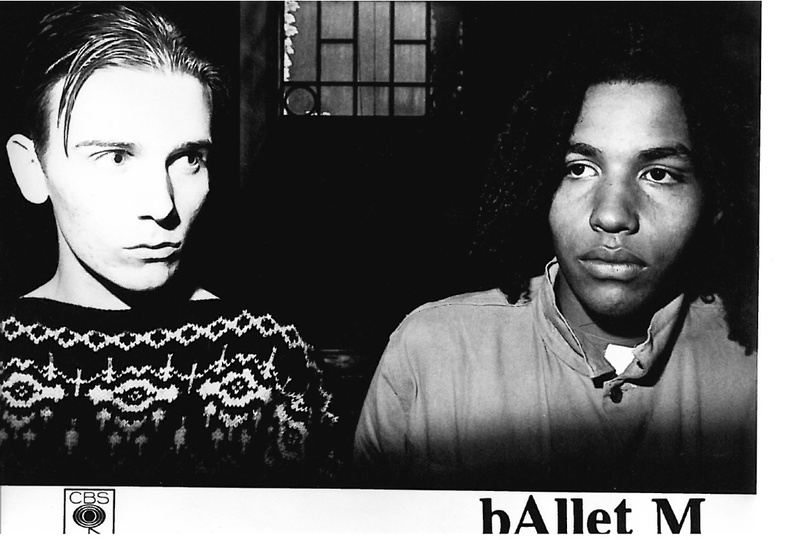 At the time of the release of the last album the group had reduced their name to Ballet M.
The break-up was announced at a concert in October – without any previous warning to neither followers, record company or booking agency. A press announcement written by Martin Hall was sent to a group of selected newspaper journalists on the same day as the final gig. The line-up at the concert was identical to that of the later Under For ensemble. You can hear the taped statement of the break-up announcement on the special edition of The Icecold Waters of the Egocentric Calculation released in relation to the album’s 25th anniversary in 2006. The reasons for the split was also fuelled by Martin Hall’s growing dissatisfaction with being contracted to the Danish branch of the multinational label CBS. Originally the group had signed a contract with the independent label Better Day Records, a label which had been sold to the Danish branch of CBS (now Sony Music) shortly after signing the band. Both the live declaration and the issued press notice addresses this matter very clearly. The statement made headlines in the newspapers and surrounded Hall with even more controversy than before.